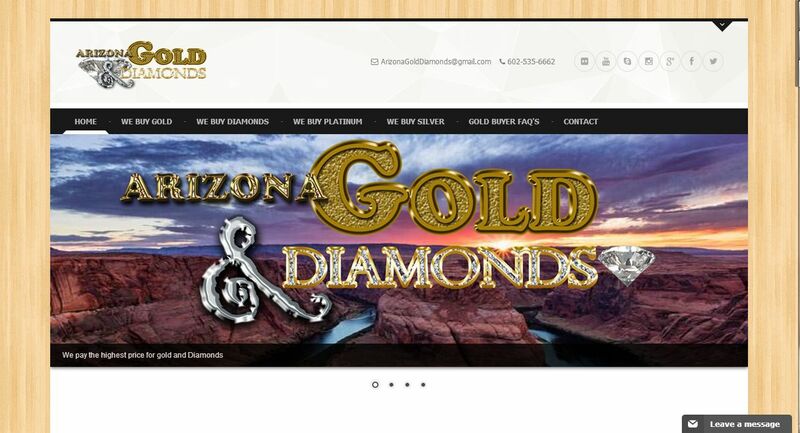 Arizona Gold & Diamonds address, phone, website, hours of operation, and more. Arizona Gold & Diamonds has been buying gold in the valley for more than 8 years. We are a home-grown, family owned business that has a true passion for what we do.To us, being successful means having a strong base of satisfied, repeat clients. There are several “cash for gold” businesses around, eagerly awaiting customers that are not educated on what they have, and are looking to just make a quick buck. At Arizona Gold & Diamonds we take a different approach. We enjoy educating our clients on their jewelry, coins, and silver. Our gold buyers are licensed and have spent several years learning all that it takes to know everything there is about gold and diamonds. Our process is quick and easy. We use industry-leading testing equipment that allows us to test your gold and diamonds in seconds, right in front of you. Our scales are licensed and calibrated by the city of Phoenix, Dept. of Weights and Measures. Our commitment to being transparent and honest with our clients is unwavering. When selling us your gold, you can feel confident in knowing you really are getting the most honest assessment of your jewelry and other precious metals. Our location pays cash and is open 7 days a week for your convenience.